Information available to 247ureports.com obtained through competent sources indicates all is not well with the parastatals of the education ministry headed by Malam Adamu Adamu. 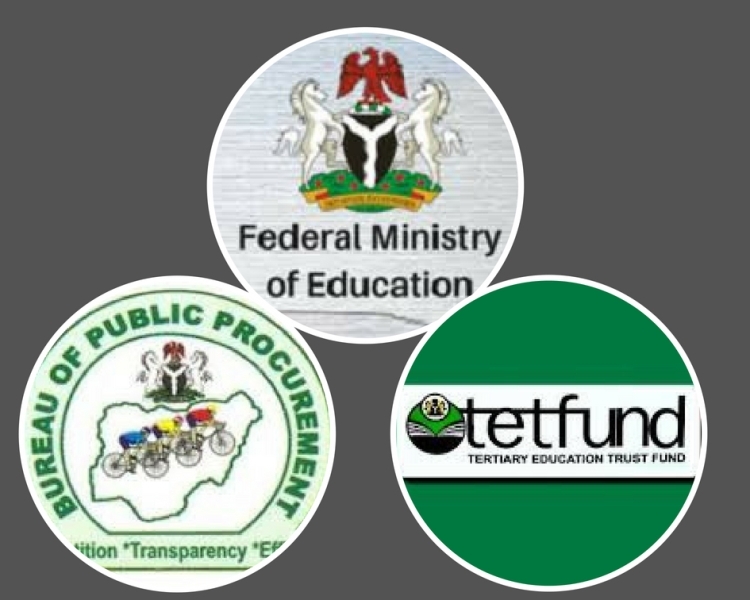 This is following an earlier report published by 247ureports.com titled [Uncovering Cesspool of Corruption inside Education Ministry, TETFund & BPP] where it revealed blatant contradictions and incestuous relationship between the Ministry of Education, TETFund and the Bureau Of Public Procurement [BPP]. The TETFund’s Executive Secretary, Dr Bappha Bichi in reaction to the petitions submitted to the ICPC against the practices of the trio and the publication by 247ureports.com reached out to a sister anti-graft agency, the EFCC to aide douse the petition sitting at the desk of the chairman of ICPC. This is resulting from the weighty contents of the said petition which contained conclusive documentary evidence suggestive of blunt corruption and financial crimes. According to our source, the TETFund boss sought the attention of the EFCC acting chairman, Ibrahim Magu through the sister of the Education Minister who is employed at the EFCC as a senior staff. A meeting was scheduled. Following the meeting, an agreement was reached. Along with other details of the agreement, The TETFund boss agreed to sponsor the HAJJ trips OF seven  EFCC agents to Saudi Arabia. And in turn, the petition at ICPC chairman’s desk went cold. Bichi Bappa [TETFund boss] action to subvert the arm of anti-graft agency from executing its function lends credence to a recent remark by the former Chief Security Officer [Al Mustapha] to the former head of state of Nigeria, the late Sani Abacha. Al Mustapha had frowned at the EFCC and its acting chairman as chasing shadows. A Similar sentiment is shared by many persons knowledgeable of the activities of the EFCC. Many of the corruption ongoing within the President Muhammadu Buhari administration appears to continue without hindrance from the existing anti-graft agency. The EFCC under the chairmanship of Ibrahim Magu has been unable to stop the corruption largely due to its own inherent corrupt activities.